We all know the world needs -- no, make that demands -- more photographs of my dogs. 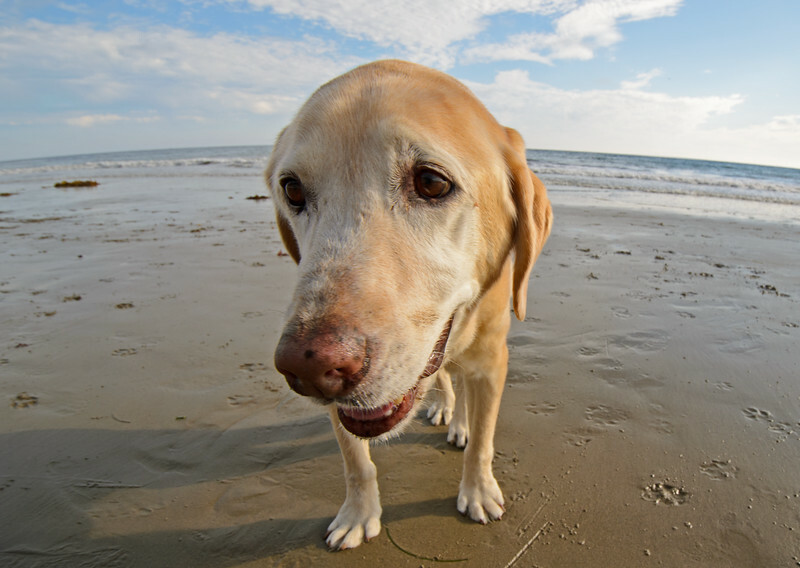 The one featured above is Sammy, a yellow lab we rescued when he was eight or nine. The photo was taken at Arroyo Burro beach in Santa Barbara, which is blissfully dog-friendly -- unlike most beaches in Southern California. I shot the photo with my Nikon 5100 and my 10-24 lens and then added some fish-eye effect with Photoshop Elements. Bored at work? Check out more of my pooch photography! And don't be shy about draining your kids' college accounts to buy dozens of copies of my photos and related gifts from my SmugMug site-- I need more expensive camera junk!